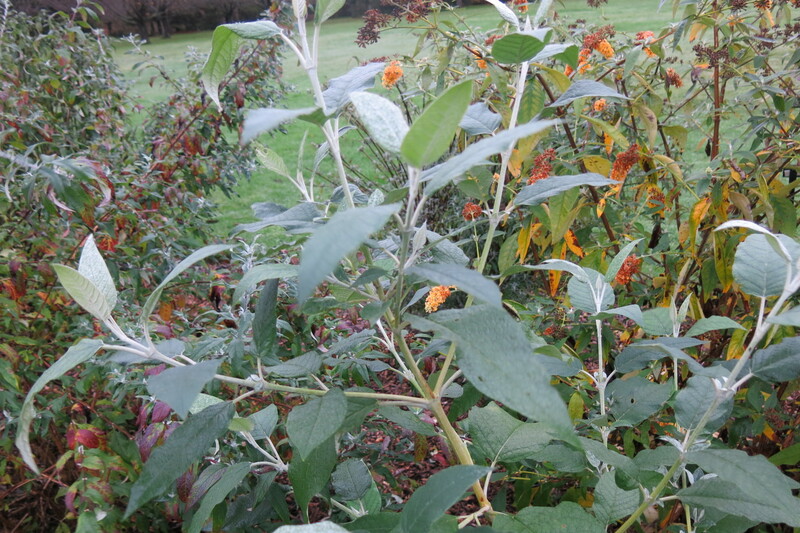 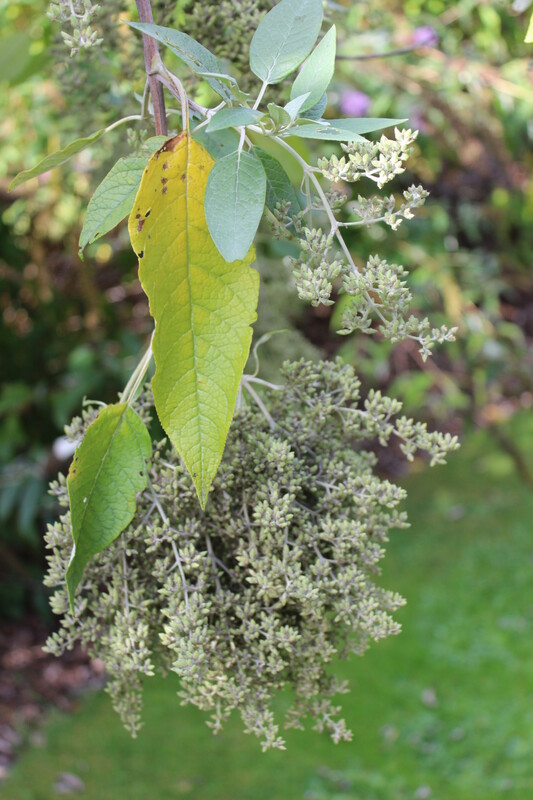 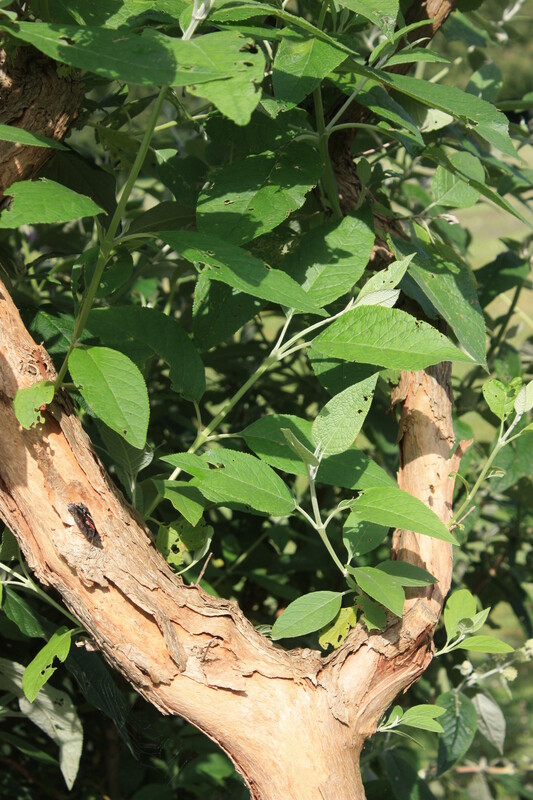 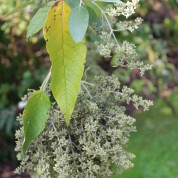 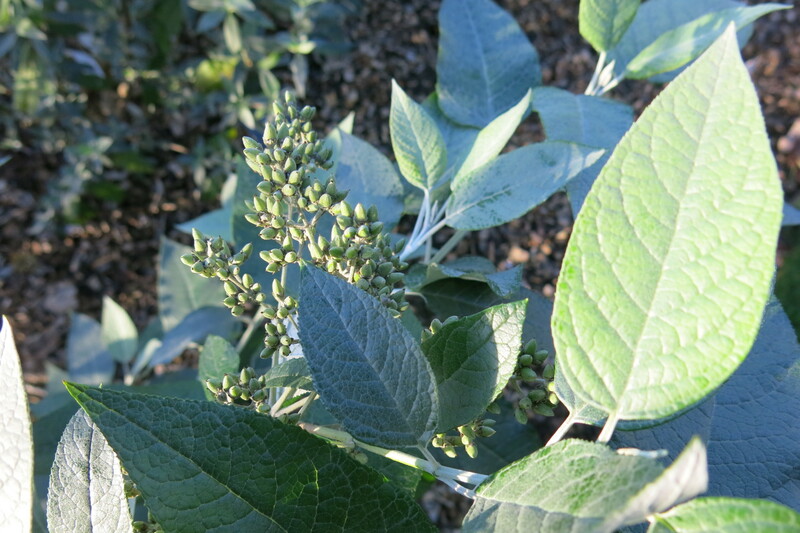 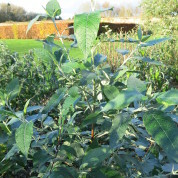 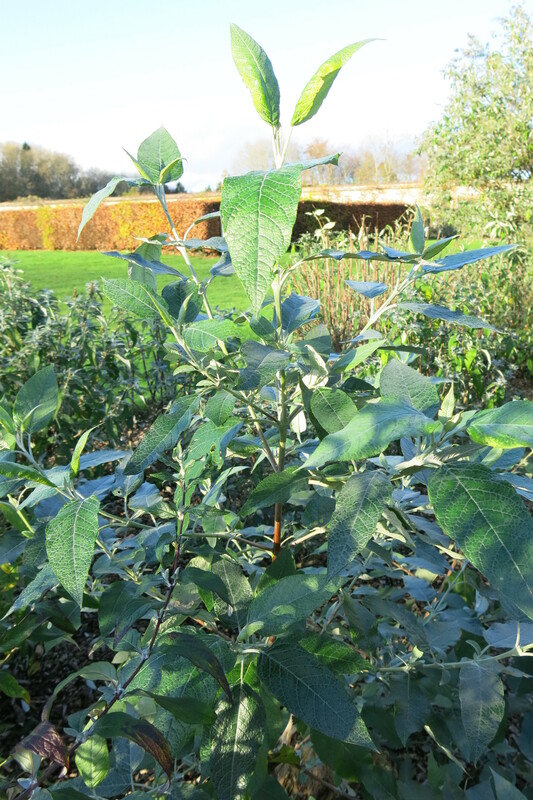 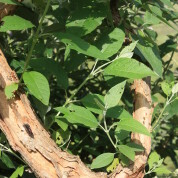 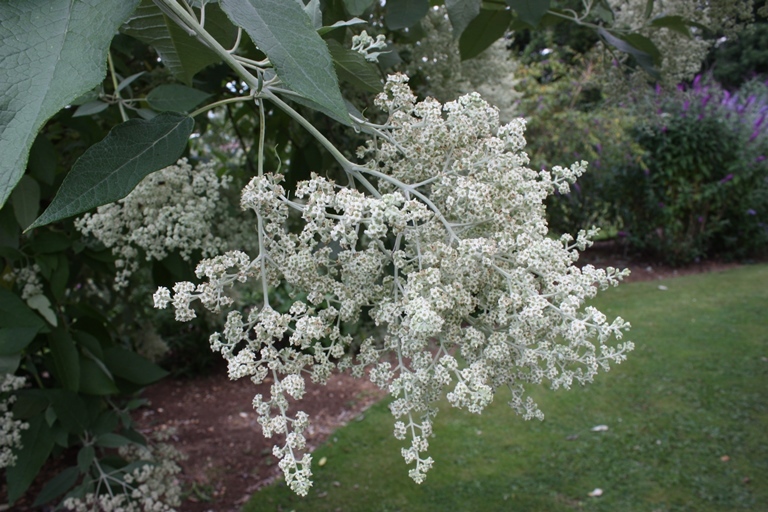 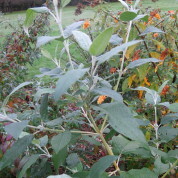 As its name implies Buddleja cordata has heart shaped medium green leaves. 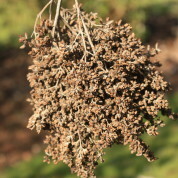 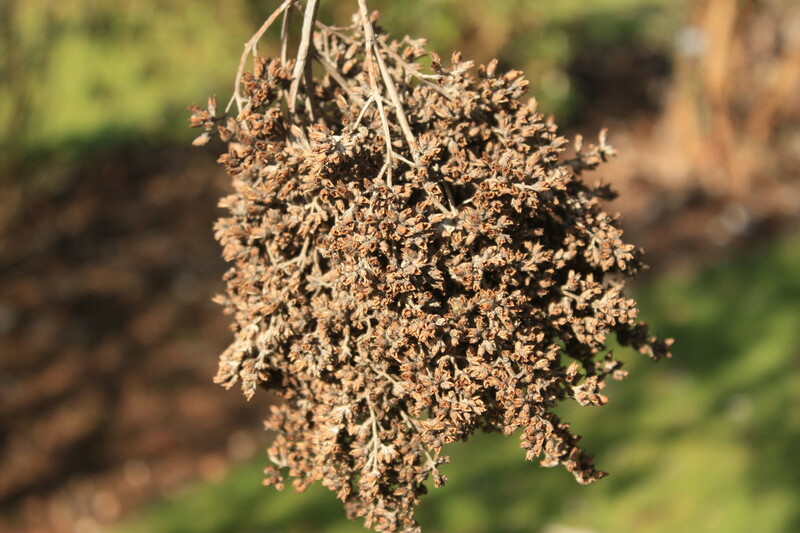 The scented white flowers are produced at the terminals of the branches and are followed by an attractive seed capsule. 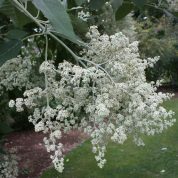 Native to Mexico and especially abundant in the Central Mexican Highlands, B. cordata grows in a wide range of habitats including roadsides, desert scrub, pine-oak forests and cloud forests at altitudes of 1000-3000m. 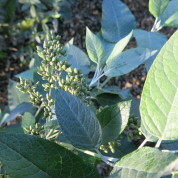 The species was named by German botanist Carl Sigismund Kunth owing to its heart shaped leaves.